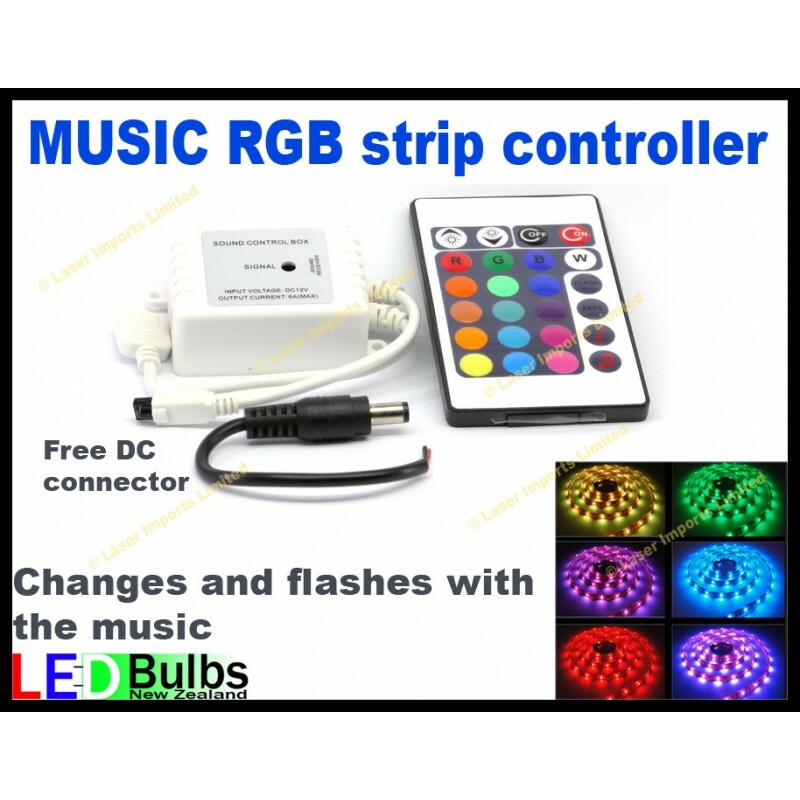 Works with our RGB strip lights and is fully plug and play. This changes the colour and flashing of the led lights in time with the music using the built in Microphone. + Free DC connector to plug in the power. Static colours, Automatic change, flashing strobing, 3 colour jumping, 7 Colour Jumping, 7 colour face change, speed adjust, brightness adjust.